SPEECH DELIVERED BY THE INSPECTOR-GENERAL OF POLICE, Ag. IGP MUHAMMED ABUBAKAR ADAMU, NPM,mni ON WEDNESDAY, 16TH OF JANUARY, 2019 AT THE NIGERIA POLICE FORCE HEADQUARTERS, ABUJA. No one can have greater interest in protecting the life of a person or his or her family than that person himself/herself. Personal security cannot be a delegated task. The greater the effort an individual puts into his/her personal security the greater the degree of safety the individual will enjoy for himself and his family". No one wants to think that there are wanted criminals living near them-maybe even right next door but the fact of the matter is that these men and women hide out wherever they can, often disguising themselves as responsible citizens in normal communities. Of course, one of the easiest ways to help police find wanted criminals is simply keeping your eyes open and reporting tips to the nearest police station. A person may go missing due to accident, crime, death in a location where they cannot be found (such as at sea), or many other reasons, including voluntary disappearance. A child may go missing for several different reasons. While criminal abductions are often the most commonly publicized cases of missing children. In an event of a missing person or loved ones contact the nearest police station or any Security Agency close to you. 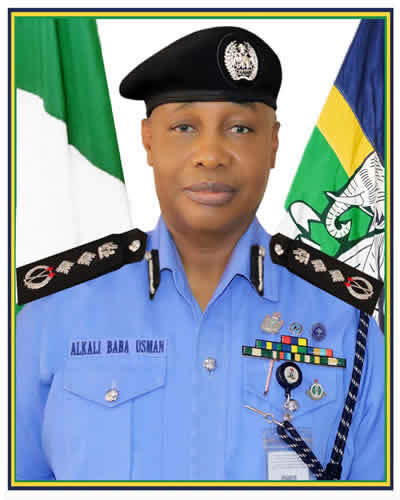 Visitors:3861 Copyright © 2019 Powered By Department of ICT, Nigeria Police Force All Rights Reserved.